Sailor Moon Petite Étrangère Musical Going on in Japan Now! NicoNico Live Webcast Announced. Sailor Moon News has given us news about the new Sailor Moon Musical! The new Sailor Moon Musical: Sailor Moon Petite Éntrangère is going on now in Japan! It ran from August 21-31 in Tokyo and runs from September 7-9 in Osaka with another showing in Shanghai, China in January 2015, the first time a Sailor Moon Musical has been shown outside of Japan. Japanese Video Website NicoNico ( Site In Japanese) has announced a live webcast of the Musical on September 7th, 2014. This gives fans a chance to enjoy the musical without the need to travel all the way to Japan or China. 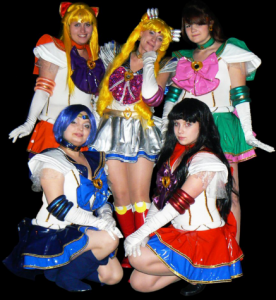 The musical takes place around the time of Classic Sailor Moon R, around the battle with The Black Moon Clan and the first appearance of Chibi-Usa. The official Sailor Moon website has announced a DVD release of the Musical at the price of 7800 yen (about $75 USD) and will release on January 28, 2015. 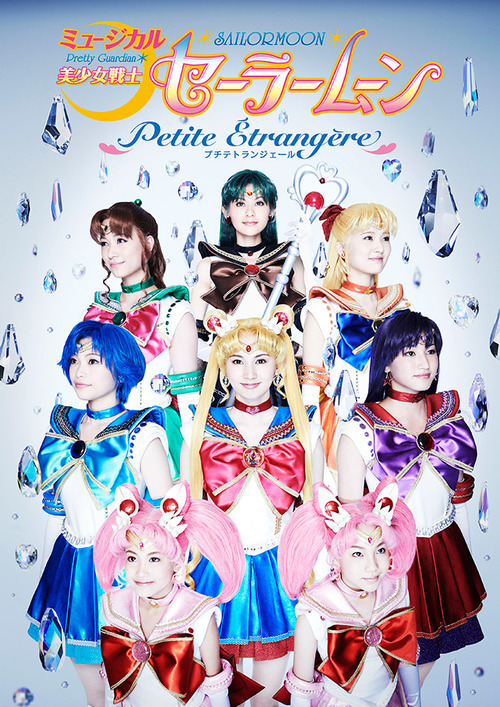 The Cast of Sailor Moon’s New Musical “Petite Étrangère” has been Announced! Sailor Moon’s newest musical has been announced, get ready for Petite Étrangère! This new production will run in two separate locations, starting in Tokyo from August 21-31 and then moving to Osaka from September 5-7. 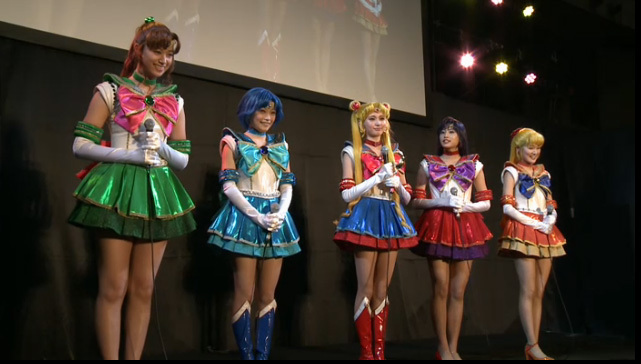 The cast remains the same as last time, with the exception of a new Sailor Mercury. And Sailor Mercury will be played by Momoyo Koyama, who is replacing Miyabi Matsuura from the La Reconquista musical. As some fans may have noticed, the title Petite Étrangère is also the chapter title for Chibi Moon’s entrance to the story, which is further confirmed by the official websites mention of: “A mysterious girl who came from the future, and a new enemy, Black Moon!” In other news, Sailor Moon’s new musical and anime have both attracted plenty of new stateside attention as well, with The Mary Sue spreading the word on Sailor Moon Crystal, and BroadwayWorld.com posting their own article on Petite Étrangère. Looks like this is going to be an exciting summer for Sailor Moon fans around the world! The figure will be released sometime in October in Japan, and will probably ship to North America in November/December. Bluefin Tamashii Nations does not have order information quite yet (hopefully sometime this week there will be some news). It will cost exactly the same price as the Sailor Moon figure at 4410 Japanese Yen ($46 USD), stand 14 inches tall, and this first production run will have special accessories. There will be 3 exchangeable faces, 4 exchangeable right hands, 5 exchangeable left hands, front hair parts that include a Head Mounted Device Goggles (or her visor), and two types of pocket computers. So far, the only image that is out right now is one we posted previously, but we anticipate there will be some more soon in different poses. Since Premium Bandai has moved to a build-to-order model, there is no reason why the shopping services should not work this time. But please remember that the ordering limit of two per customer still holds for each product. The releases are being paced apart by a couple of days, as mentioned in our last post. Some reporters at the Tokyo Toy Show this weekend posted some more details about them, including a hand model with each shade painted on her nails so fans could better see what the colors looked like, and pictures of the products. But the most important thing is that there will be a third product added to the line (and sorry, nothing is going to be themed for the Outer Senshi or Starlights). Now we have heard a few rumors for what this third might be – a fragrance, an eyeshadow palette, or lipstick/lipgloss, and we are leaning towards the fragrance (although one of the others could happen). We too are disappointed that the majority of the branding of this 20th anniversary is only using the images of the Inner Senshi, when what made the show so special was its huge cast. As for the products that are known and on the way: the powder compact is not going to be like your typical face powder, and will instead be like a “luster powder” to add some shimmer to your face. The compact itself is more glossier and shinier than the photos on Premium Bandai suggested initially. As far as the nail collection goes, the pink shade of nail polish is significantly lighter than the photos on Premium Bandai had suggested. Also, fans should be aware that each bottle is only holding about 3.5ml of nail polish – this is significantly smaller than nail polish bottles you would find at the store, so the polish in each bottle will not last as long as fans might had hoped it would (perhaps only one or two uses per color?) The other surprise was that the bottles do actually come out of their golden exteriors, and we wonder if the rings of the different symbols around the bottle tops could be wide enough to wear around a pinky. What do you think of these products? What do you think the third item might be? Nicovideo has a special hub site set up just for the musical for their more premium members to and purchase tickets from their mobile phones, as well as links to sites from Animelo and Nelke Planning. While there is no video content as of this writing, we would not be surprised if there was considering Nicovideo’s involvement in the 20th anniversary. We have also heard that the plot is going to stay true to themes from the manga. It will be interesting to see how this translates to the stage for the first time!